Michael J. Passarella’s practice encompasses all areas of labor and employment law from drafting, reviewing, and advising companies and executives on employment and restrictive covenant agreements to general employment litigation to preventative practices, including management training, legal guidance and counseling to employers with both union and non-union employees across a broad range of employment and employee relations issues. 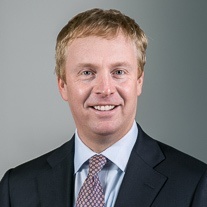 Michael’s counseling practice includes advising companies, boards of directors, compensation committees and executives involved in acquisitions, mergers, restructuring and other transactions and in drafting and interpreting rights and obligations under employment and separation agreements, restrictive covenants, stock options and other equity-based compensation. He regularly conducts handbook and personnel policy drafting and review, assists with daily management of employee disciplines and terminations, and general advice and counsel on compliance with local, state, and federal employment laws. Passarella has extensive litigation experience in discrimination, wage and hour, whistleblower, harassment, FMLA/ADA, and wrongful termination claims before state and federal courts, the Equal Employment Opportunity Commission, the New York State Division of Human Rights, the New York City Commission on Human Rights, the Connecticut Commission on Human Rights and Opportunities, and various other administrative agencies across the country. He routinely provides strategic guidance and leads due diligence reviews in transactions and communications and legal advice regarding union organizing and elections, corporate campaigns, and picketing. He represents employers in hearings before the National Labor Relations Board and in collective bargaining negotiations and arbitrations for clients across the country. He has conducted management training in sexual harassment prevention and best practices, union and litigation avoidance, leave management, and hiring and firing practices. Michael earned his J.D. from Tulane University Law School, where he was vice president of the Tulane Sports Law Society. He earned a B.A. in History from Harvard University where he was captain of the Men’s Varsity Tennis Team and a member of the Undergraduate Advisory Committee on Athletics. Prior to joining Olshan, Passarella was a principal at Jackson Lewis P.C.